December 18 – January 1 – Winter Break. I love stealing that line from Ms. Cooke. Here’s what has been happening (and what I’m predicting will be happening as of Wednesday morning) for this week in counseling at Winterhaven. We will be just be doing the body scan in K-1 and a quick reading. 8th grade had our whole class meeting Monday. It went well. If you could continue to reinforce the ideas of treating each other kindly and respectfully and speaking up if someone isn’t, that would be very helpful. A larger lesson looming is the one around “snitching”. Both Grant High School and Franklin High School will be here shortly after Winter Break to have students choose classes. Cleveland will be here sometime after that. I’ll let you know. And our Equity Question of the week: What does “fair” mean? How are the words “equal” and “equitable” different? Oregon food Bank Volunteer Opportunity - Celebrate the New Year with Helping Those in Need! Looking for a fast-paced, fun way to get involved in giving back to our community? Please join the Winterhaven Community Service Committee in helping out at the Oregon Food Bank, Volunteer Action Center. We will be repacking bulk foods into family-sized portions to be distributed to families in need. Space is limited (up to 40 volunteers including adults), so sign up soon -- spots fill up fast! surrounding your own stories, about the messages you grew up with regarding identity in six categories: gender, skin color, culture, economic status, sexual orientation and able-ness. For the best possible workshop, Katie requests that attendees come with a willingness and readiness for self-reflection and honesty. Social Potluck is at 5:30. Workshop begins at 6:00. For those who are able, we encourage you to bring a shared potluck dish and a serving utensil. 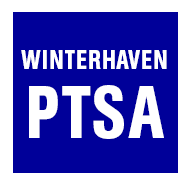 This workshop is organized by Winterhaven PTSA and the Parents for Equity. Book Fair - The Winterhaven Book Fair is this week. Mon-Fri 12/4-12/8 from 8:30 am -3:30 pm (open until 7:30 pm on Wed 12/6), in the Winterhaven Library.